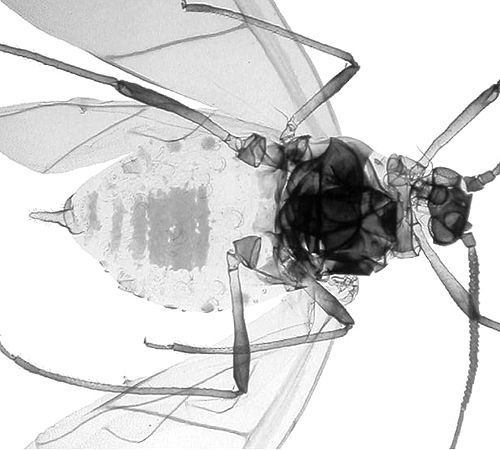 The images below show alate Longicaudus trirhodus, dorsal and ventral, in alcohol. 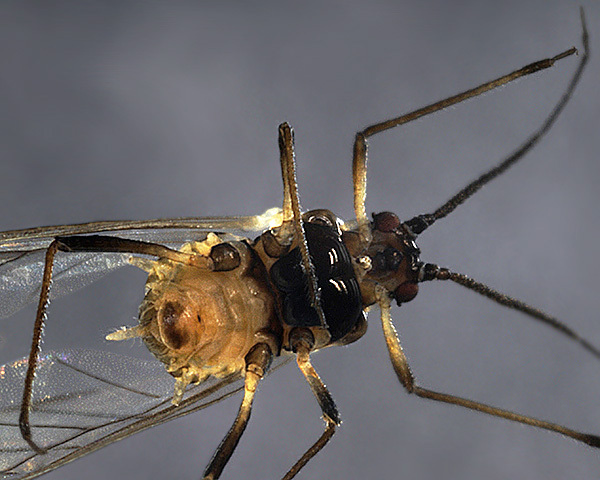 The clarified slide mounts below are of adult viviparous female Longicaudus trirhodus : wingless on the primary host, on the secondary host, and winged. 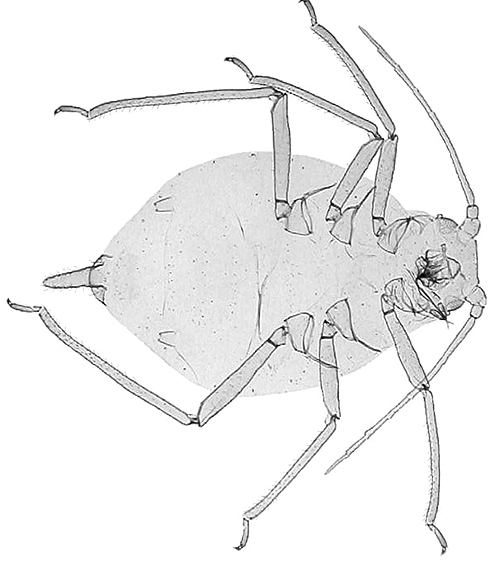 Longicaudus trirhodus has been recorded from 20 Rosa species. 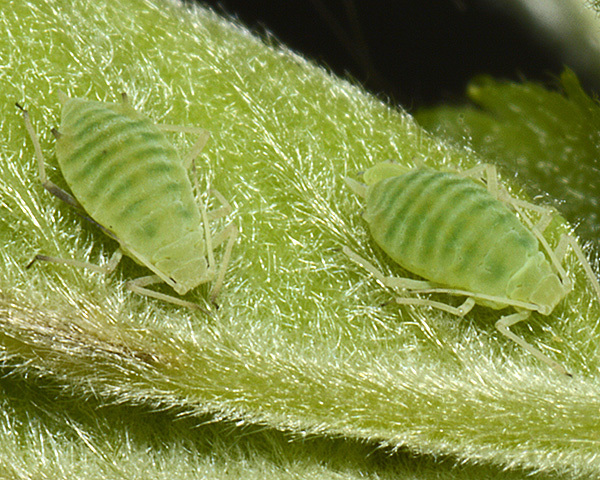 Blackman & Eastop list about 70 species of aphid found feeding on Rosa (rose) species worldwide, and provide formal identification keys. The genus Rosa contains perhaps a hundred species, plus hybrids thereof, and thousands of cultivated varieties of 'garden' & agricultural roses. 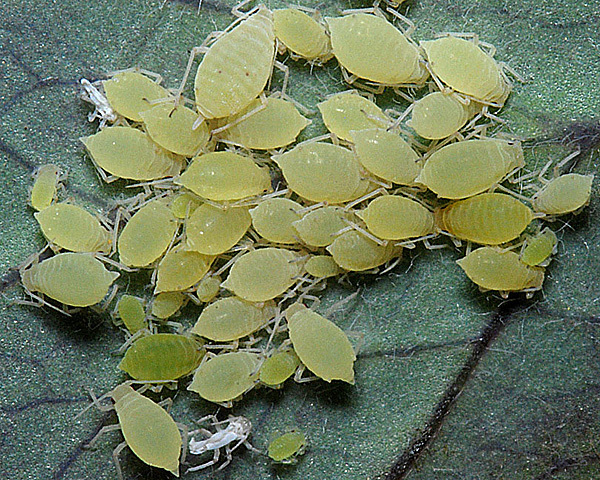 Blackman & Eastop (1984) list thirty-or-so species of aphids that feed on cultivated 'roses', worldwide. 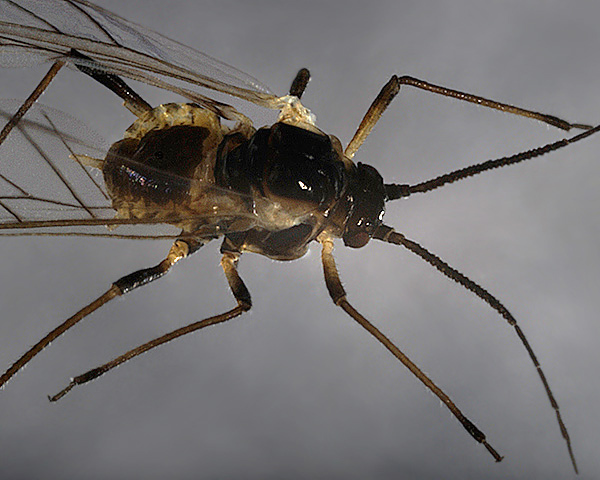 Longicaudus trirhodus has been recorded from 11 Aquilegia species. 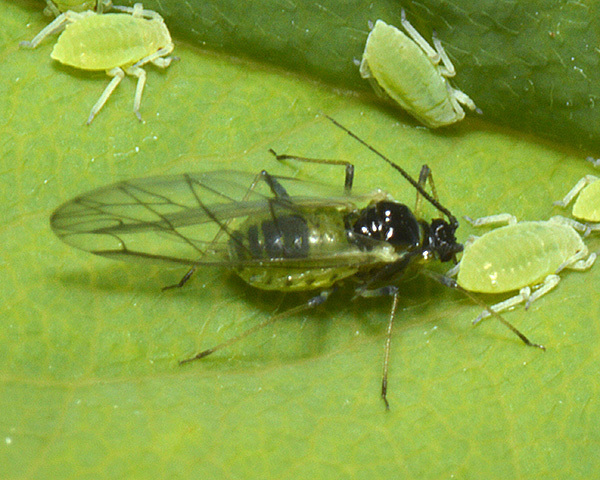 Blackman & Eastop list 9 species of aphid as feeding on columbine (Aquilegia vulgaris) worldwide, and provide formal identification keys. 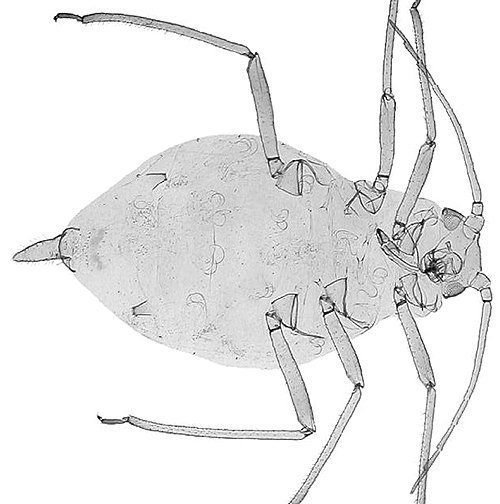 Of those aphid species, Baker (2015) lists all 9 as occurring in Britain: Aphis fabae, Aphis gossypii, Aulacorthum solani, Brachycaudus helichrysi, Longicaudus trirhodus, Macrosiphum euphorbiae, Myzus ascalonicus, Myzus persicae and Neomyzus circumflexus. Longicaudus trirhodus has been recorded from at least 16 Thalictrum species. Blackman & Eastop list 23 species of aphid as feeding on meadow rue (Thalictrum species) worldwide, and provide formal identification keys. 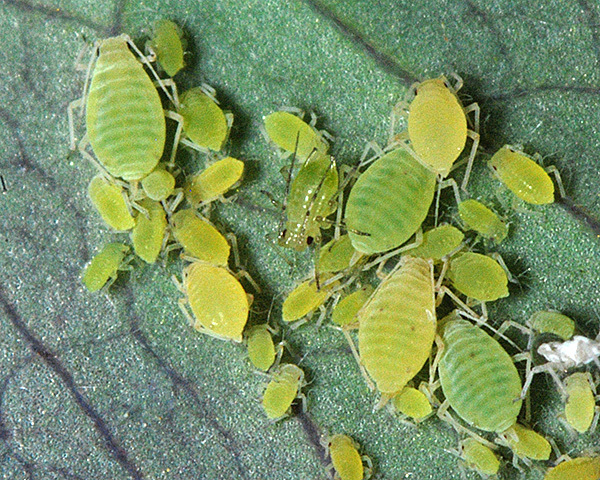 Of those aphid species, Baker (2015) lists 8 as occurring in Britain: Aphis fabae, Aphis gossypii, Aphis spiraecola, Aphis thalictri, Aulacorthum solani, Longicaudus trirhodus, Macrosiphum euphorbiae and Myzus persicae.